Designed and built by architect James Stephen, the three-story school opened in 1910; the museum marks its 10th anniversary this year. I HAVE LOST my adolescent expertise in the names and models of Detroit-born postwar cars. 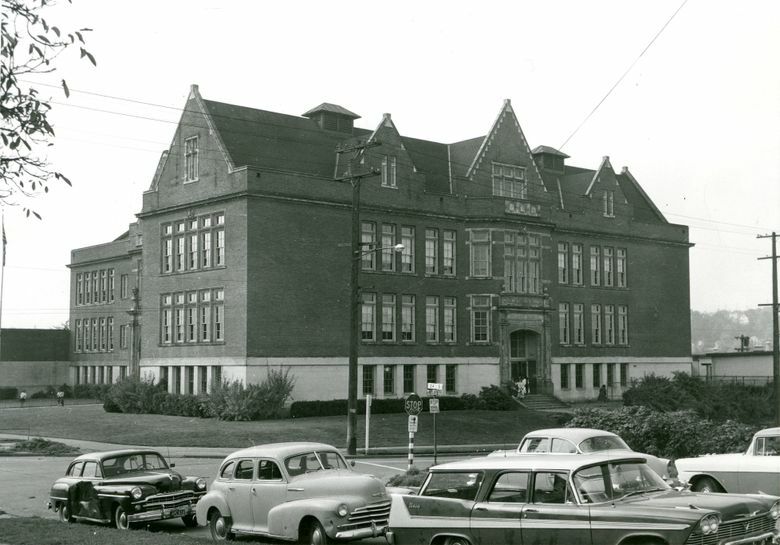 Our “Then” photo displays a Jacobean-style brick, terra-cotta tile and concrete beauty rising above five somewhat-gaudy motorcars, the latest of which, I am told, is a 1958 Plymouth. All are parked near the now-vanished intersection of Atlantic Street and 24th Avenue South. This is one of the surviving schools designed and built by James Stephen, the official and prolific architect for Seattle Public Schools in the early 20th century. The Canadian arrived in Seattle at its most opportunistic time for an architect/builder, after the city’s Great Fire of June 6, 1889, had destroyed more than 30 city blocks. Authorized in 1909, the 17-room, three-story Colman Primary School opened in 1910. There were, on average, 500 pupils and 15 teachers. The second principal, Miss Anna B. Kane, served from 1912 to 1940. Enrollment swelled during World War II, when the feds built a large housing project nearby. With peace, enrollment dropped. Still, in the late 1940s, the city bought the entire block for the school. Eventually, Atlantic and 24th were vacated to extend the school’s lawn. Like Queen Anne High School, another Stephen creation, Colman is a fine example of how Seattle can recycle its landmarks largely intact. Though its primary program ended in 1979 and an alternative school there closed in 1985, the building survived a long-planned but scuttled north-south freeway, the ravages of a fire, and next-door construction of the Mount Baker lid and tunnel for Interstate 90. This year, inside Colman, the Northwest African American Museum — with its upper floors’ 36 lower-income apartments — marks its 10th anniversary. 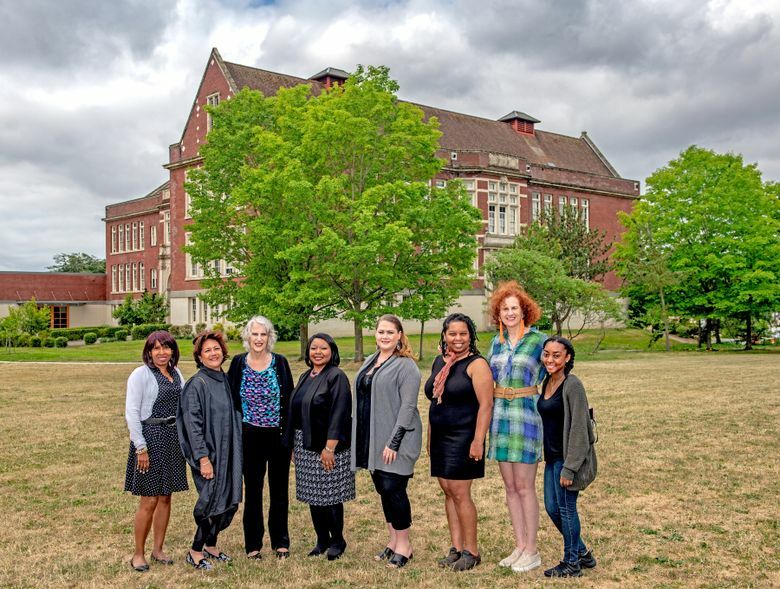 This means, as many of us remember, that the powers that be took a long time to support conversion of the abandoned school into a cultural center for groups that best represent the diverse community reaching from Beacon Hill to Lake Washington. The museum is open Wednesday through Sunday from 11 a.m. to 5 p.m. (until 7 p.m. Thursdays).